Hollywood is spending more than $150MM per movie on this summer’s blockbuster line up and that is not counting the more than $70MM they will spend to market each movie. Given the return on the original investment, it’s understandable that they would invest in this genre which has been a proven winner in the hope of establishing a new franchise. However, films that inspire are often just as successful, actually in relation to their cost they can be way more profitable. With budgets that are often less than $10 million their returns as a percentage are usually significantly better. This spring saw several good indie films that inspired their audiences, among them was what Hollywood would categorize as a faith film, but really played out more like an inspirational film — “I Can Only Imagine”, a story focused on a son’s forgiveness and a father’s reconciliation, was made for less than $7 million, and to date has made more than $85 million. With this kind of return you would think Hollywood would be better inclined to greenlight more films like “I Can Only Imagine”, “God’s Not Dead”, and “The Blind Side” which also made substantial amounts at the box office with remarkable returns on their investments. Hollywood likes a proven formula for making and distributing movies here and abroad, and even then the risks abound. What successful independent filmmakers realize is that this studio formula has been successful for a reason: they know that they must engage audiences with well told stories that carry universal messages incorporating underlying themes of “faith grounded” characters. We as Christians live out our lives with the hope of eternal life, but we live each day caught in the realities of the world. We as filmmakers should be telling stories that inspire people to be more than they are, that give them hope for overcoming the most desperate of situations, of triumph and joy, but we should bring to the screen the fun of fantasy, the laughter of everyday circumstances, the romance of true love, and the epics of history. 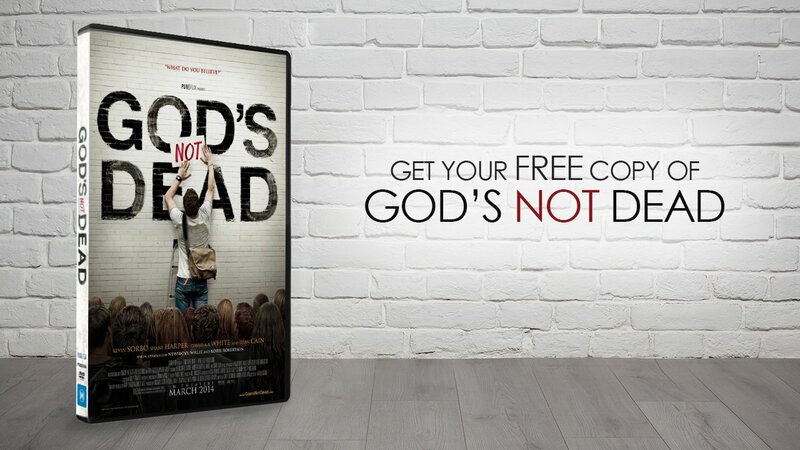 Not every movie we make needs to be a teachable theological moment. Sometimes movies can be a mirror or an illustration of what life looks like through someone eyes. Our challenge is to tell great stories, the Bible is filled with gritty and powerful stories that scream to be told, but so is real life in its many manifestations. 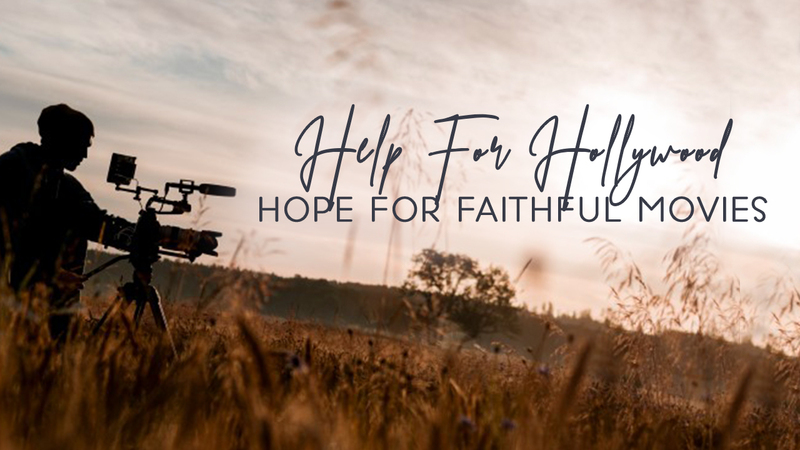 Hollywood’s challenge is to see the faith and inspirational filmmaker as a gifted storyteller that delivers a great investment, and in most cases delivers an incredibly valuable family audience. Hollywood likes to think they are inclusive, but a look at recent films says otherwise with a few exceptions. The culture in Hollywood is changing, and filmmakers now have a great opportunity to encourage the studios and investors to look beyond traditional film role models and look into stories about life from a certain positive enlightening, courageous, yes, even faith inspired, perspective. We need to do a better job of writing our stories, revealing our values in a way that resonates with unbelievers. Our stories need to be smart, authentic and relatable. Our themes need to reflect our culture and our lives. We need to write, without preaching, about the full range of human emotion and circumstances and deliver the message of God’s love, grace and mercy in our lives in ways that reflect real life, not a theologically sanitary version that doesn’t deliver a realistic depiction of life or our beliefs. Jesus came to save, but he dealt with the grittiest of issues — illness, deformity, betrayal, injustice, and lack, and he did it with real passion, compassion and love. He always told stories using a context that was relevant to his audience. If we as storytellers can bring authenticity to the screen, audiences will respond by buying tickets or viewing on demand, investors will support what provides a good return on investment, and Hollywood who has already taken notice will realize there is still unmet demand. The change needs to come from us as Christian filmmakers. We need to produce, direct and write real stories, with real characters that have faults and shortcomings, and live their lives seeking a better path, firmly anchored in the Creator God’s grace and mercy. We need to be courageous and uncompromising when it comes to quality. Well written scripts require good directors and good actors to bring them to life, and that requires money. That is another challenge we have to address. How do we attract investors who understand the product? Too often films are made with no understanding of: how the film will be made or distributed, who is the target audience, and how will the film be marketed. Basic business principles are ignored; to quote a filmmaker friend of mine who understand the process, “you would not bring a widget to market without knowing who was going to buy it, and where it would be sold.” Yet, many Christian filmmakers see a need or have a passion to tell a Christian story but have little understanding of the marketplace they are entering. Worse, they are often underfunded and can’t always hire the best and have to cut corners, so that the end product is not profitable and investors feel burned and then shy away from any further participation. Investors need to be educated about the market, as well as what they are investing in. If they are looking for a movie as an investment they need to know the rate of return, understand the risks and be prepared for the results. For example, in today’s marketplace investing in BOTH the production and the marketing increases your investment but decreases your risk when done right. What we believe as filmmakers can change the culture, but only if we can connect with the audience, prepare to speak the language of the marketplace and translate our tenets into themes that can be understood and appreciated universally. We are called for such a time as this. Can we deliver on our calling?